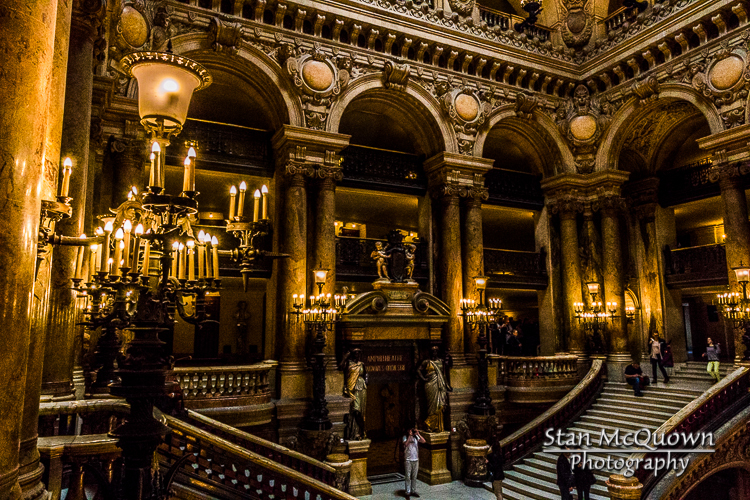 Starting at the Église de la Sainte-Trinité church I set out to finish one of my Day Trips that was two thirds of the way completed. 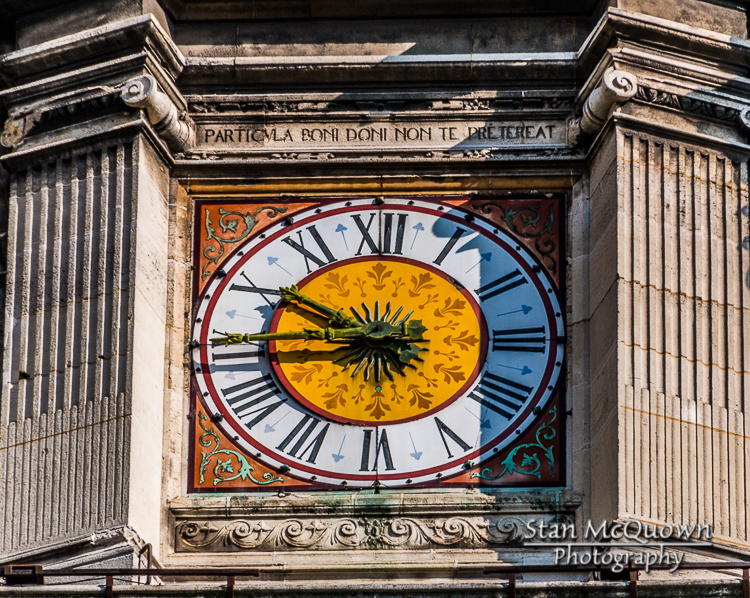 Clock on the Trinity Church! 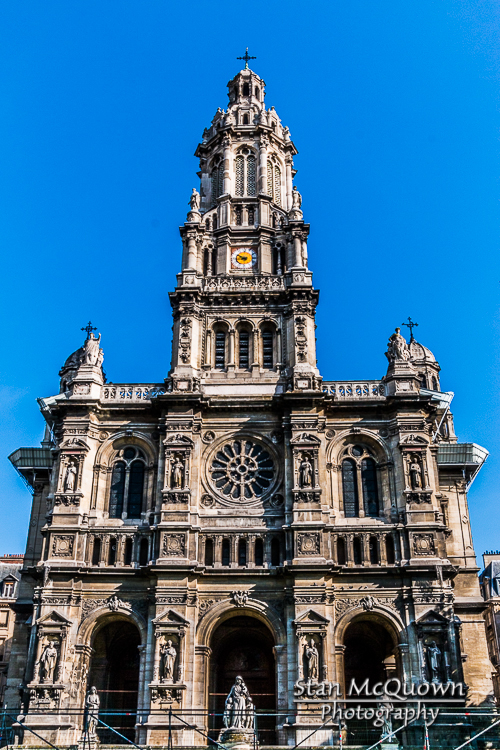 The Église de la Sainte-Trinité or Trinity Church, a building of the Second Empire period, built between 1861 and 1867 at a cost of almost 5 million francs. 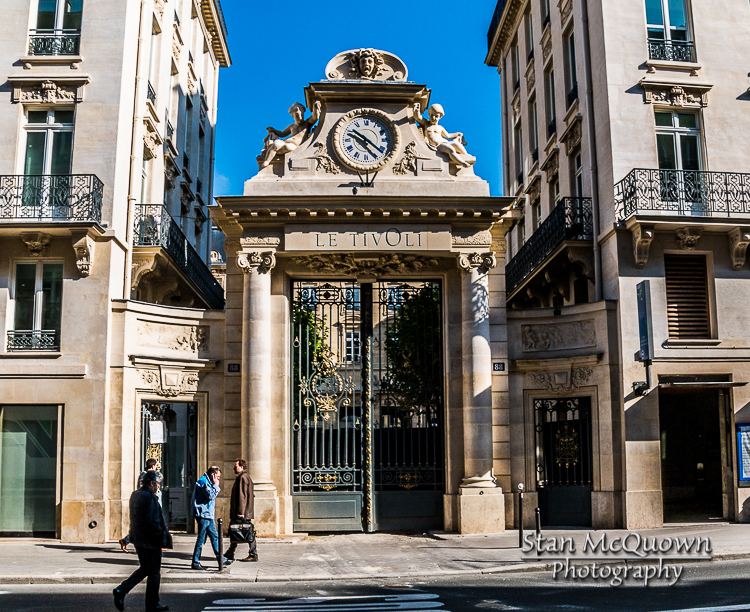 Gate to where gardens built in 1766, known as the Jardin de Tivoli, once grew! 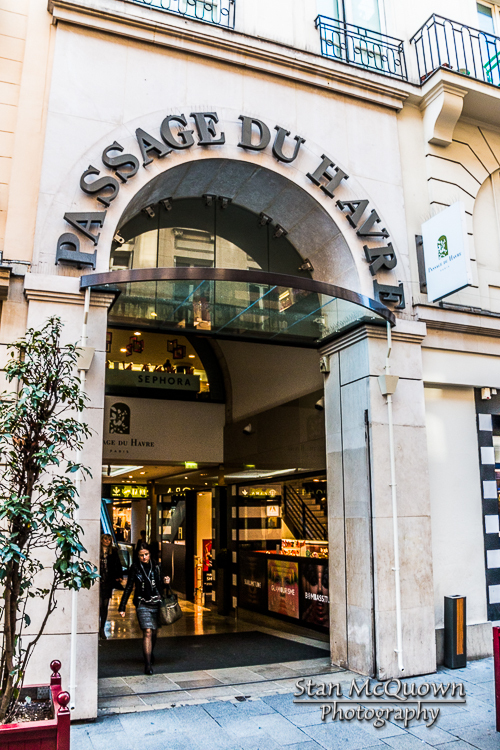 Another passage, Passage du Havre! 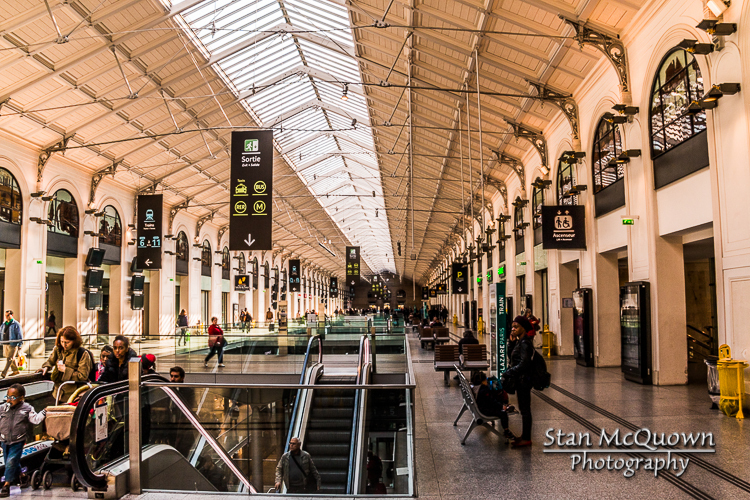 Passage du Havre’s beautiful interior! 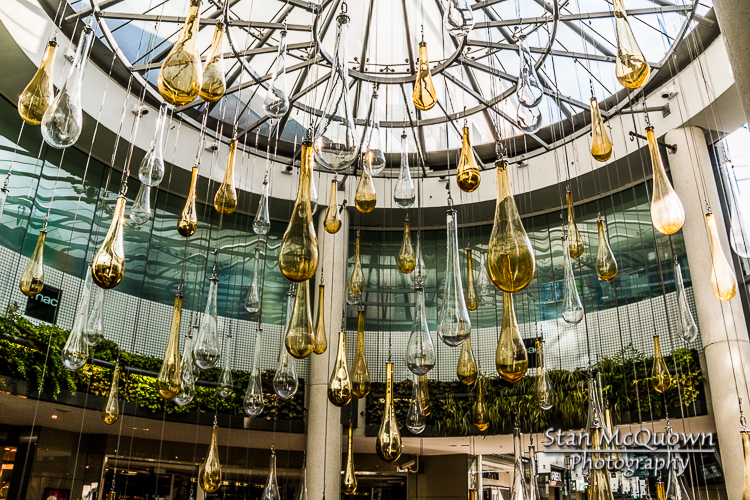 Hanging glass art exhibit in the Passage du Havre! 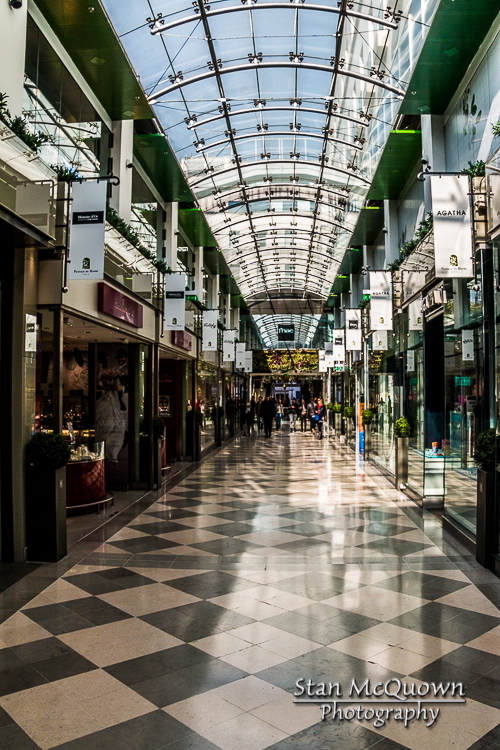 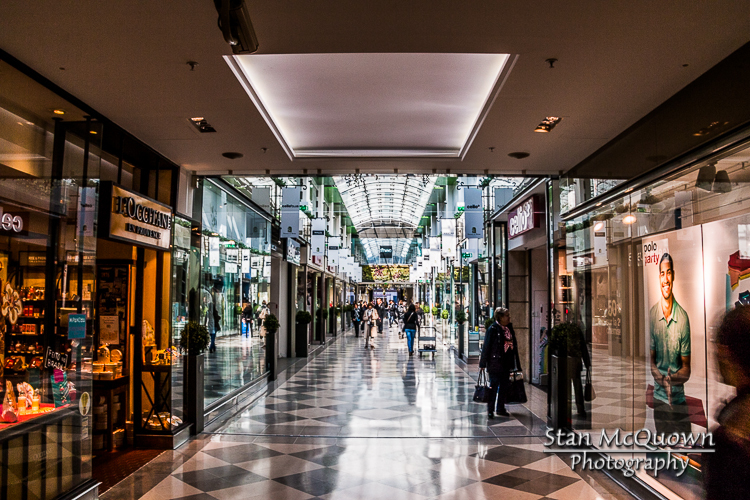 Nothing says shopping mall like a Parisian Passage, not! 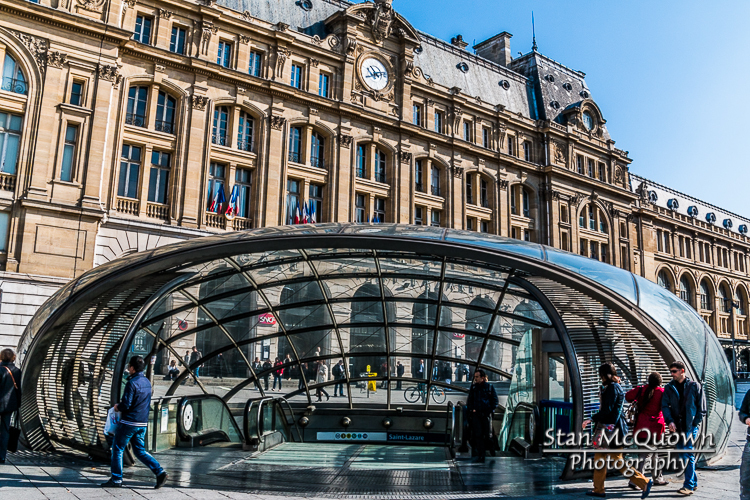 Gare Saint-Lazare, second busiest train station in Europe with 100,000,000 passengers transiting every year, Gare du Nord at 450,000 passengers per day takes the number one spot! 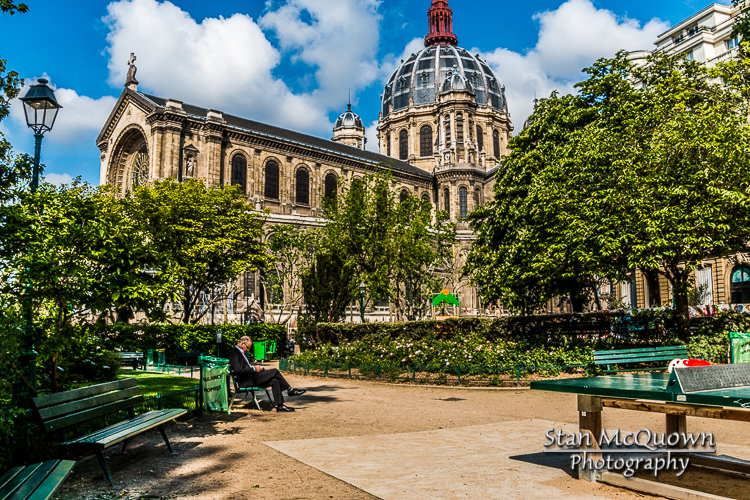 Square Marcel Pagnol and the beautiful Church of St. Augustine! 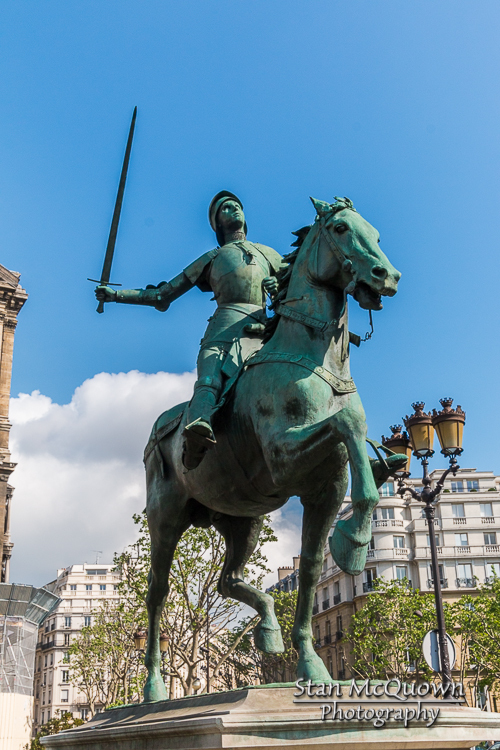 Statue of Jeanne (Joan) of Arc and the Church of St. Augustine! 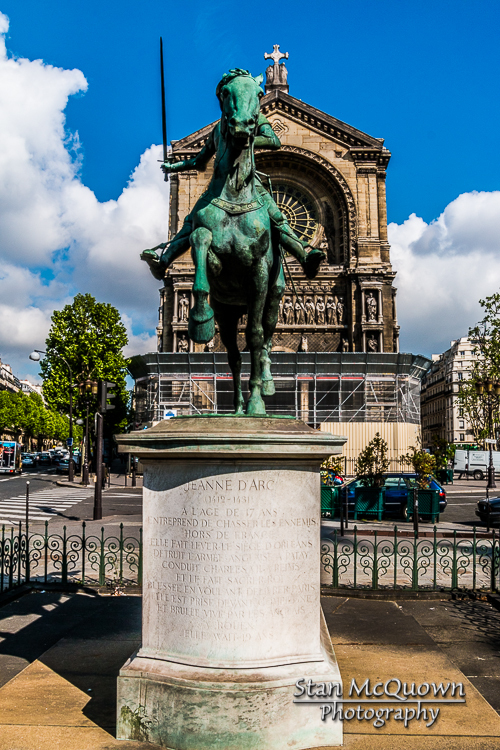 Jeanne (Joan) of Arc Statue! 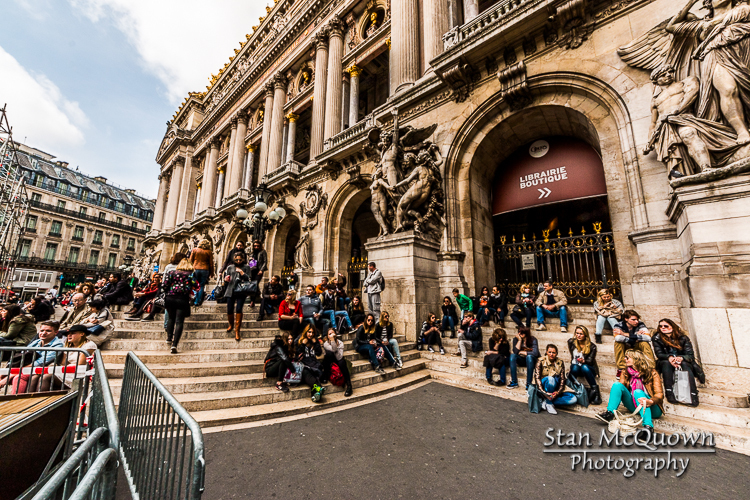 Heading towards the Printemps Department Stores! 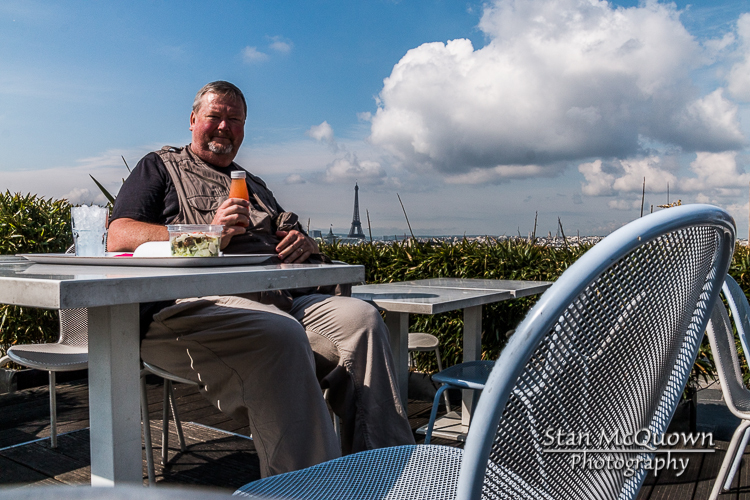 Lunch time at the Rooftop Cafe Deli-cieux! 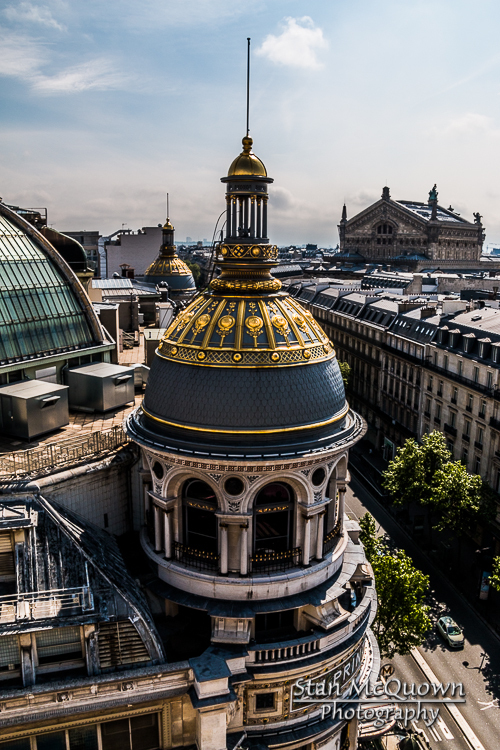 360 degree view of Paris and it was an outstanding day to be on the roof! 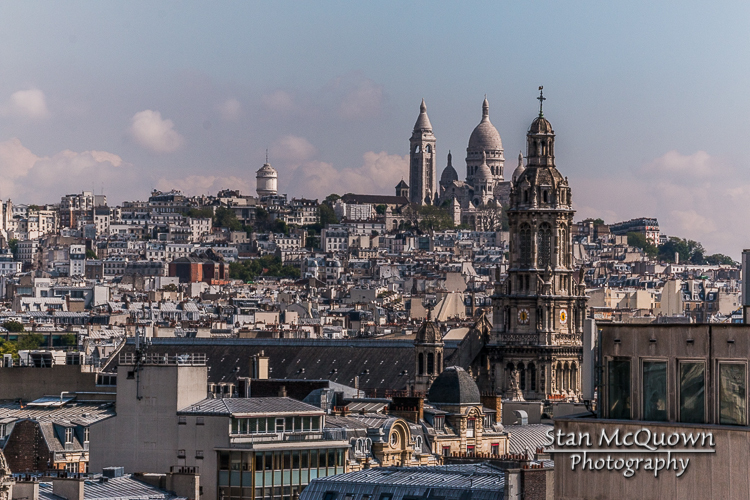 Sacre Coeur and Église de la Sainte-Trinité to the north! 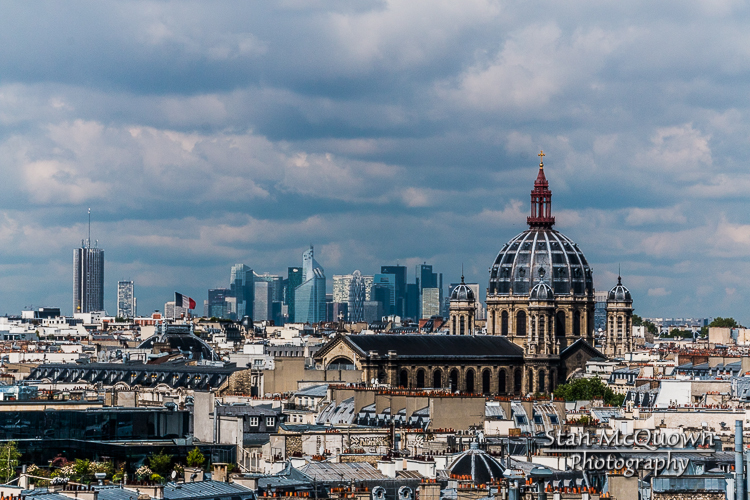 Church of St. Augustine and La Defense to the west! 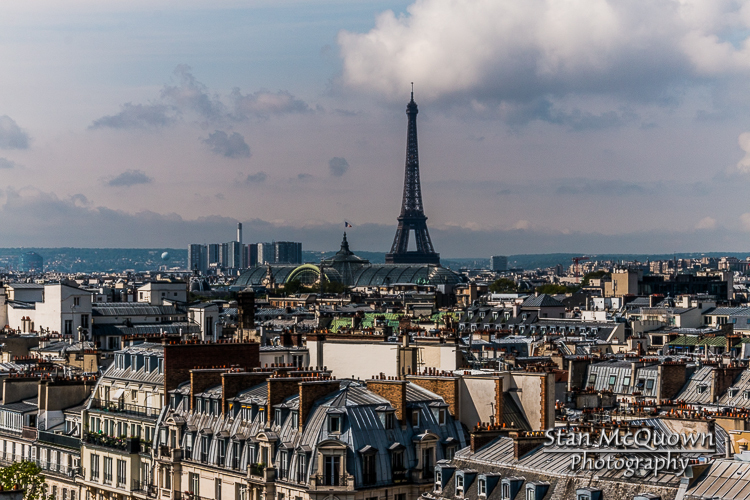 Eiffel Tower to the South! 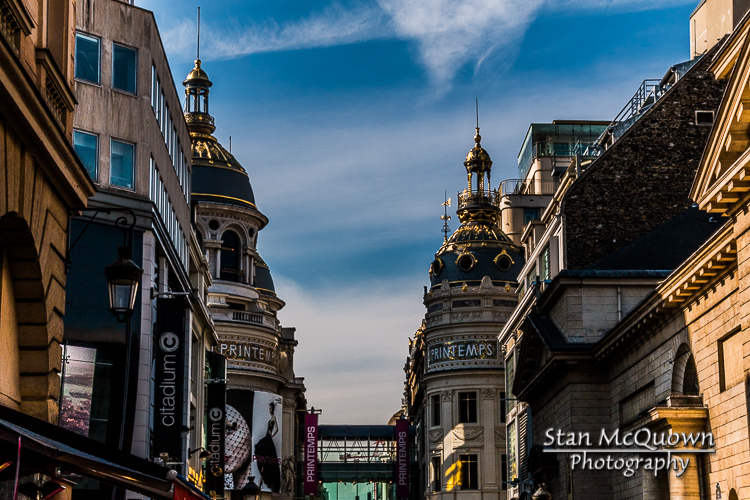 The Galeries Lafayette and Opera Granier to the East! 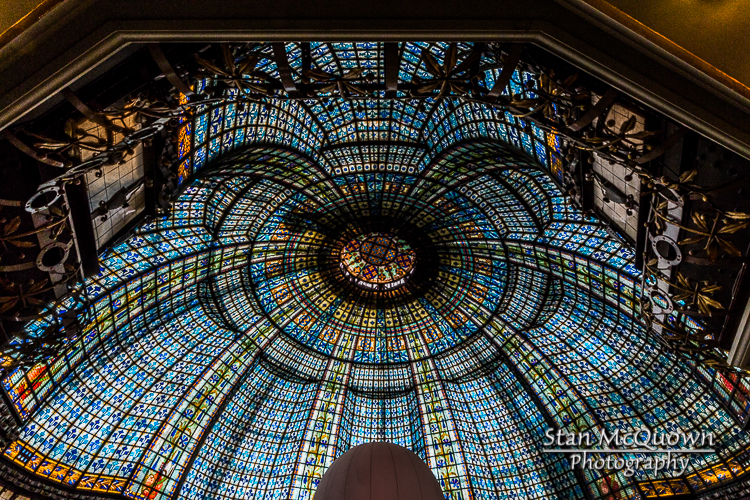 The Cupola inside the Galeries Lafayette! 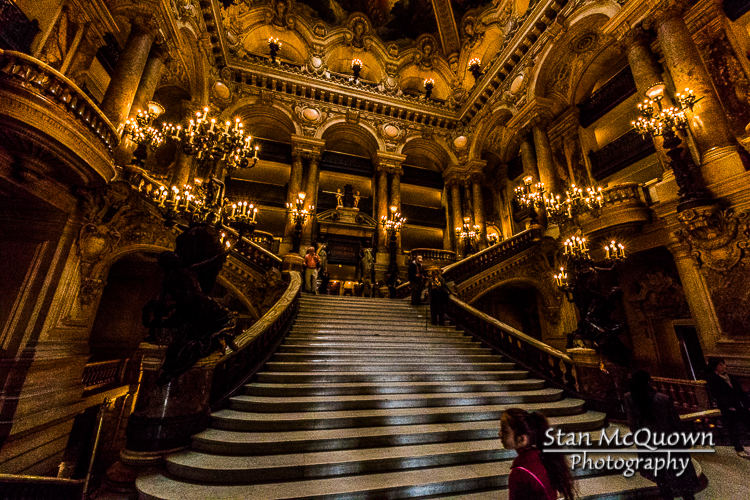 A walk over to the Opera Granier! 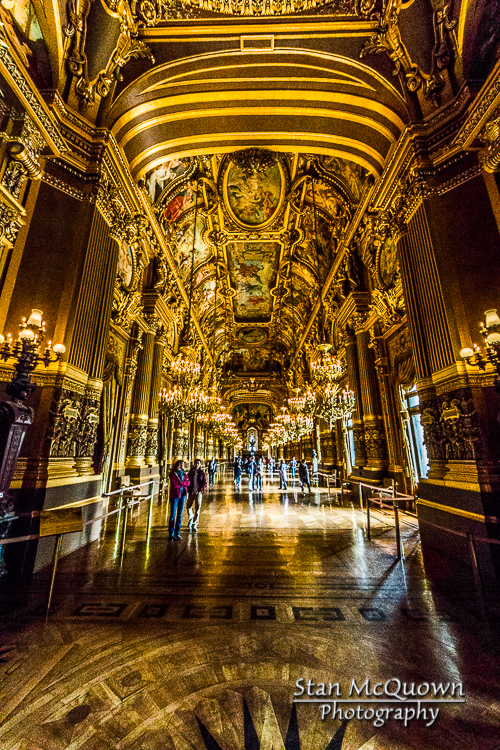 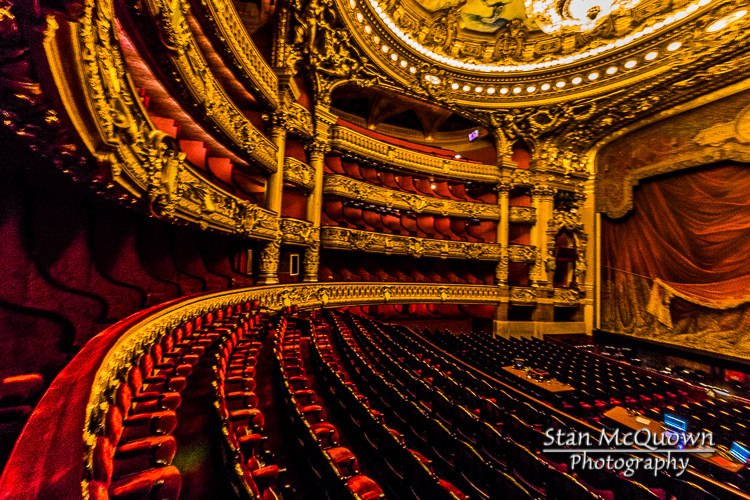 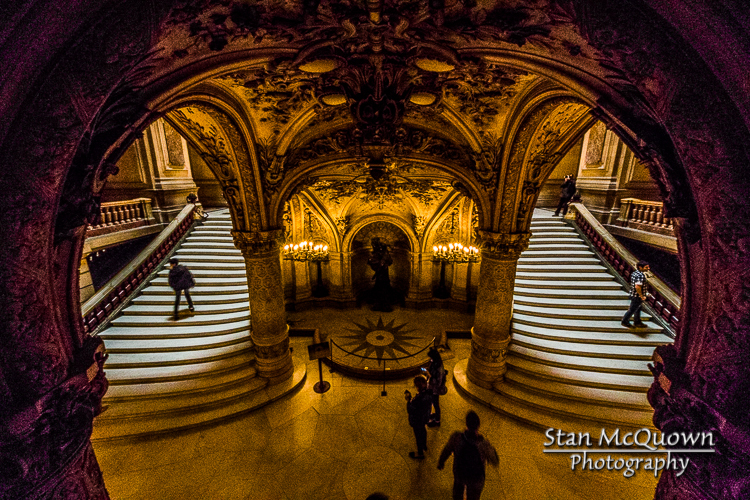 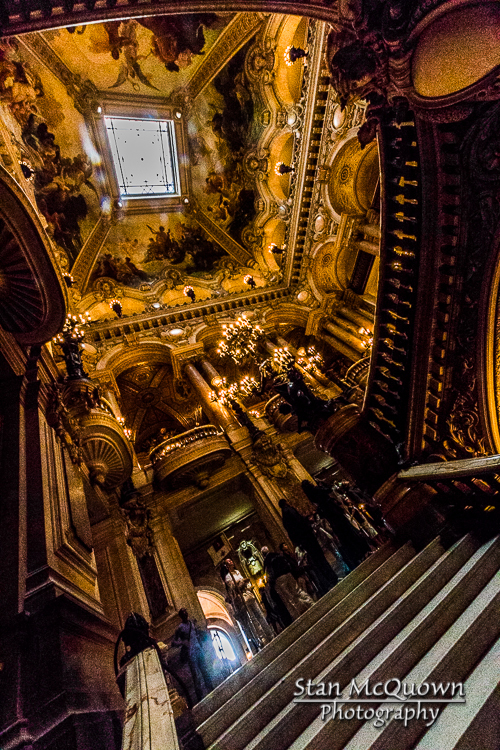 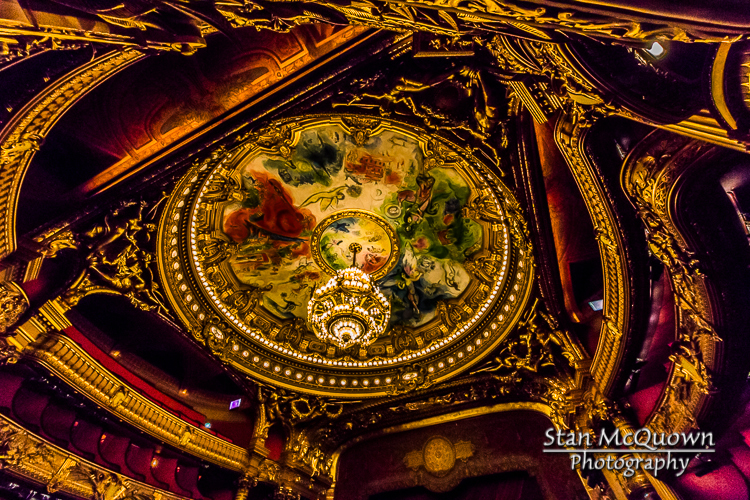 Interior hall of the Opera Granier! 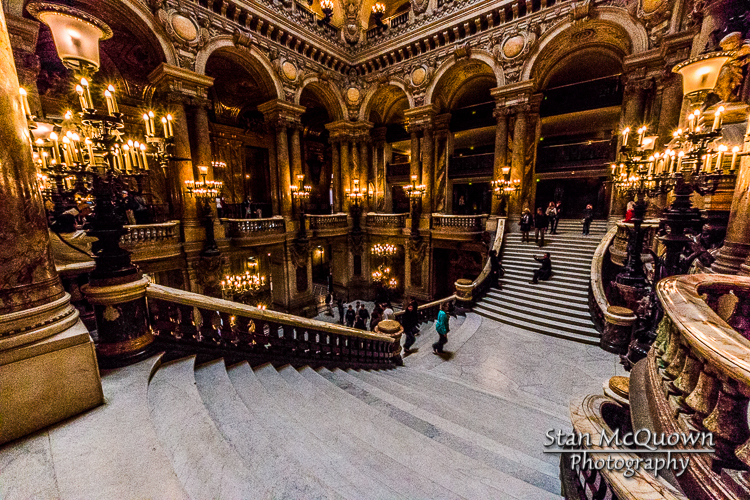 1st mezzanine of the Opera Granier!